What is Civil Service Live? Civil Service Live is our annual, cross department event for all civil servants helping us to become A Brilliant Civil Service. In 2018, over 19,000 civil servants came to one of the six regional events and we want to see you again this year! CS Live is your opportunity to engage with other civil servants, listen to thought-provoking sessions and meet inspiring people sharing their experiences, knowledge and expertise. 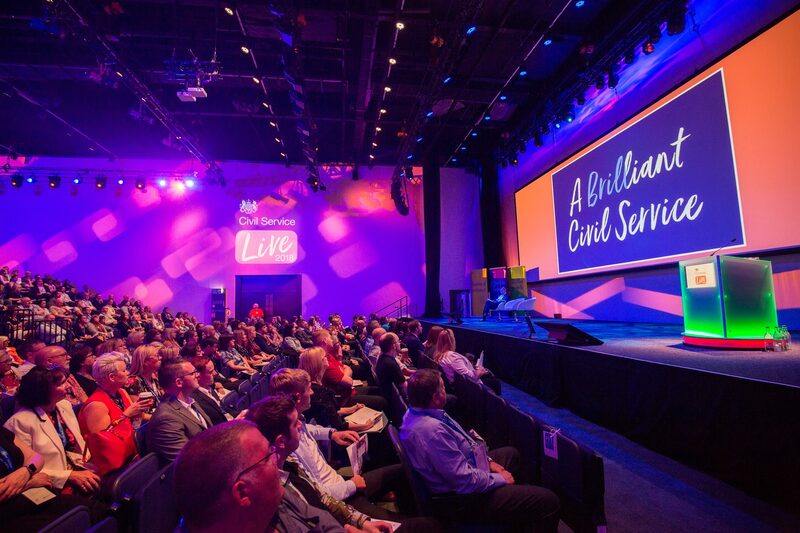 With a variety of sessions, exhibitors, the opportunity to connect with other civil servants and meet Senior Civil Servants, CS Live aims to educate, engage and inspire you. Learn from over 180 expert and inspirational speakers, offering key policy updates, new approaches to common challenges, and replicable case studies, covering a wide range of functions across the entire sector, with 50+ hours of CP-certified content available. Discover over 160 suppliers offering the latest technologies and efficiency-driving solutions relevant to your organisation and functions; improve your outcomes through better procurement, by pre-engaging with suppliers and building a complete understanding of how to overcome your challenges. CSL 2019 is confirmed, save the date!